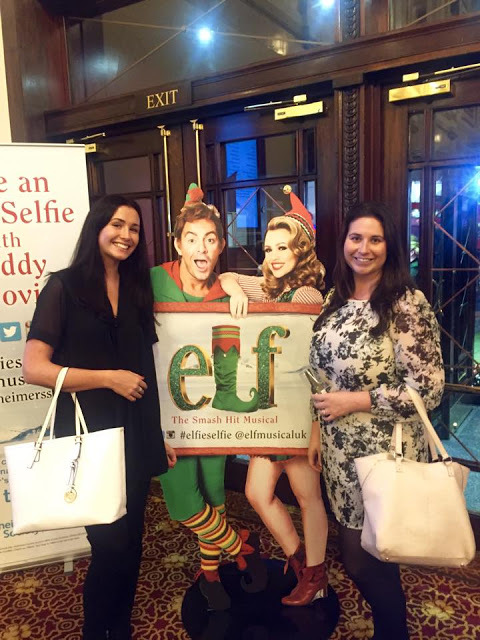 Last week we were invited to attend the Dominion Theare in London to ‘Discover our Inner Elf’. 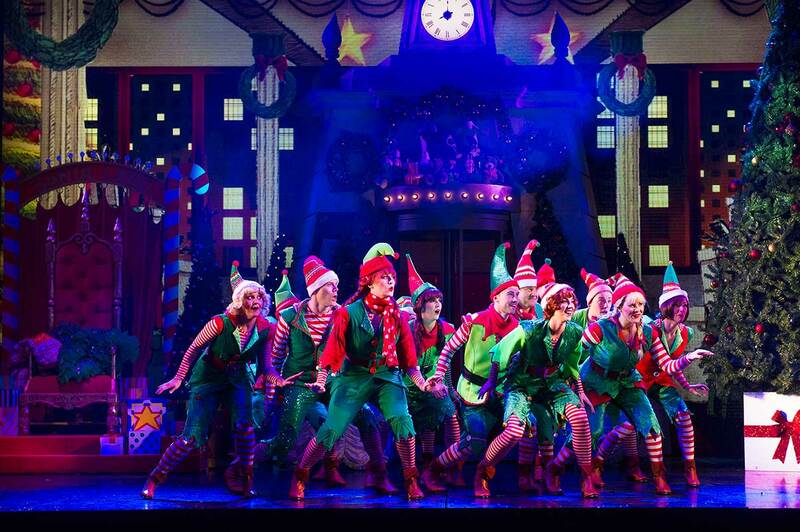 Elf the Musical has hit London and you would have to be a complete scrooge not to love it! 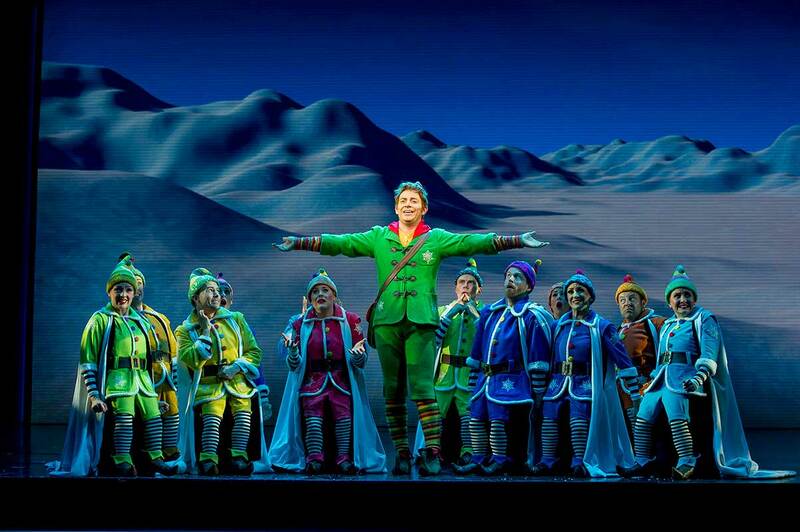 The Musical is based on the famous hit movie Elf, which was released in 2003 starring the loveable Will Ferrell. 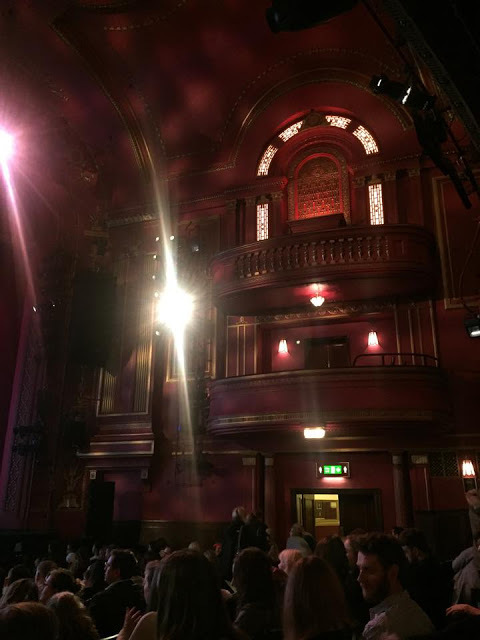 Every aspect of the show was fantastic and the Dominion Theatre was the perfect venue… they even managed to make it snow inside the theatre! 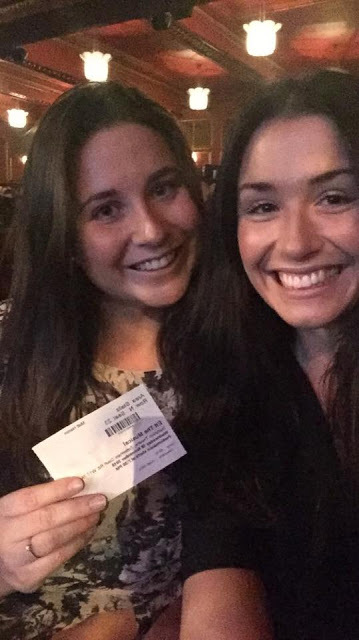 I invited my friend Lydia from work to come with me as Dan had to work late and was unable to come. We began our evening with a stroll down beautiful Oxford Street which was bursting with Christmas spirit all decked out with lights & decorations everywhere you looked! London is so beautiful this time of year and it is a wonderful feeling to be feeling so festive already! We stopped by a local pub for a mulled wine before the show began, which only just added to our excitement! 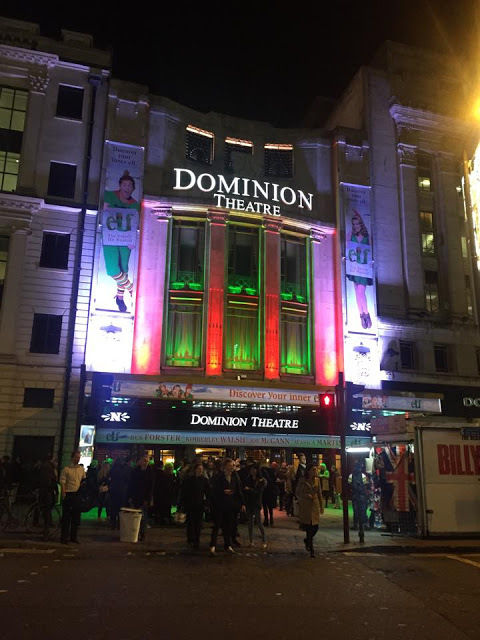 The Dominion Theatre is easily accessible being ideally located only a steps from Tottenham Court Road Tube Station. The theatre has recently gone through a large restoration process and it is truly a beautiful theatre. We had excellent, very comfortable seats that provided us a wonderful view of the entire stage ensuring we took in every second of the musical! We were captivated from the very moment the show began. For the few people who haven’t seen the film, it is a feel good, family Christmas movie centered around Buddy the Elf. Buddy is an orphan who crawls into Santa’s sack on Christmas Eve and ends up back at the North Pole. Buddy is then raised by the Elves as one of them until he becomes an adult and is faced with the truth that he is human. He then sets off on a journey to New York City to find his real dad. 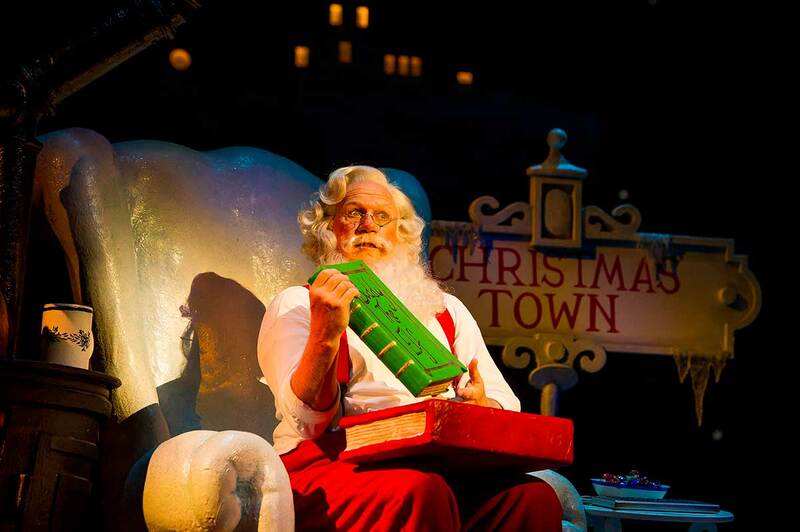 Along the way he helps the whole city of New York rediscover the true meaning of Christmas and rekindle the Christmas spirit! 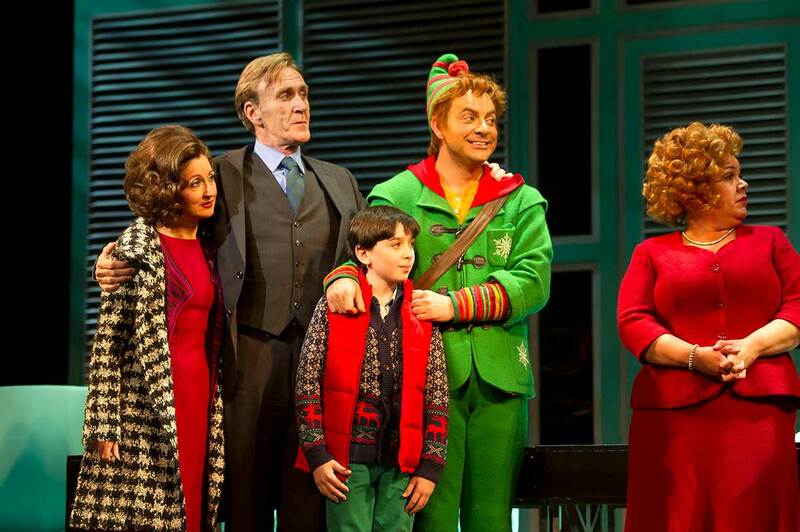 The whole cast are fantastic, energetic and full of Christmas spirit! 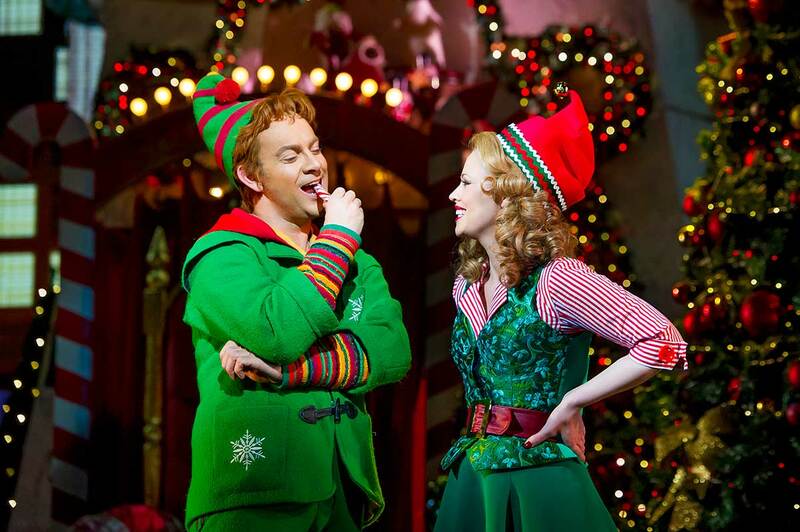 Ben Forster stars as Buddy the Elf and I truly believe they couldn’t have cast a more perfect “Buddy the Elf” for the role. Girls Aloud’s Kimberley Walsh sparkles as Jovie, and the vocals from all cast members were superb! The songs were infectious and had the whole audience captivated, clapping and singing along! The script was fantastic and there were plenty of jokes for both children and adults, ensuring everyone had a good time! The set design, costumes, lighting and sound all strengthened the entire show. 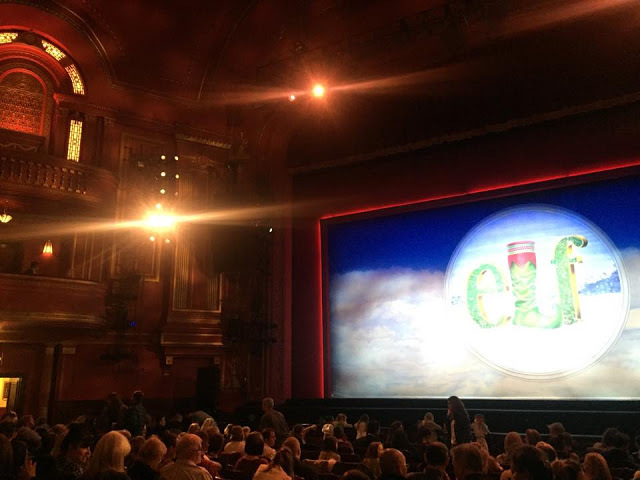 Elf the Musical was spellbinding and every single aspect of the show came together perfectly to make the audience fall back in love with Christmas and truly enjoy every moment of this magical show! I don’t want to ruin anything for people who already have tickets or are planning on going but there are two massive surprises at the end that simply blew us away and truly topped off an incredible show! At the end as we were clapping whilst the stars took their bows, I looked at Lydia and she was crying with happiness! Above 5 Images sourced from Elf the Musical. 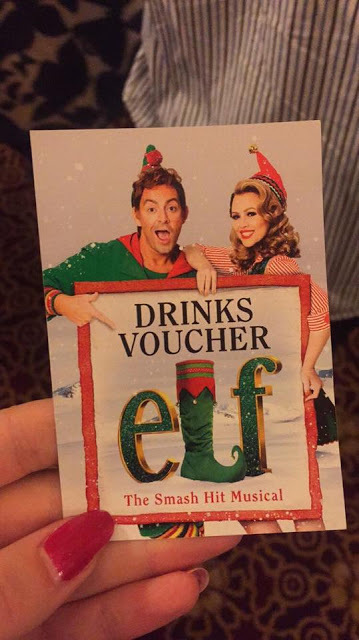 The Aussie Flashpacker was invited to review Elf the Musical.